The Bavaria 46 Vision due to its incomparable comfort and especially her living room with panoramic views, will make you experience unforgettable moments by boat in the Virgin Islands from Tortola. Located in British Virgin Islands, this Bavaria 46 Vision (1 single and 2 double cabins), available for bareboat, built in 2016 by Bavaria Yachts, is capable of hosting up to 5 passengers. 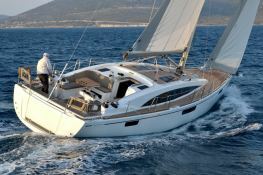 Further more, and for a complete bareboat charter journey, Bavaria 46 Vision comes with air conditioning, BBQ, electronic on board, equipped galley, generator and also CD. 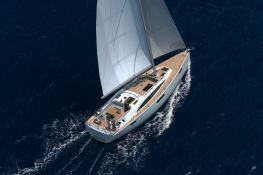 This sailing yacht is available for bareboat charter with a base price of 4 695 $ (approximatly 4 163 €).